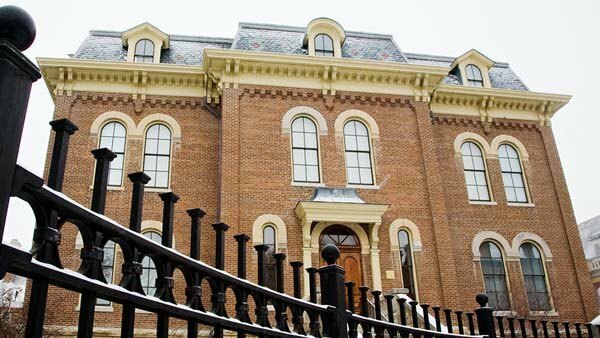 Illinois is home to two National Historic Landmarks and several buildings on the National Register of Historic Places. The ACES Library, Information and Alumni Center stands as an informational and architectural landmark on the University of Illinois campus. Dedicated on October 4, 2001, it is a $21 million state-of-the-art facility containing 52,000 net assignable square feet. 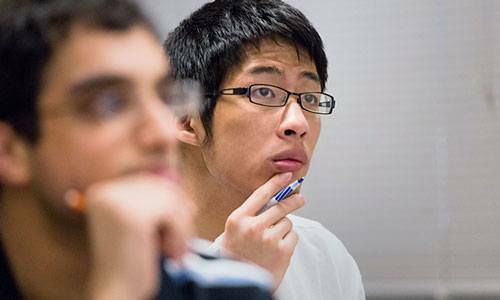 It integrates traditional information sources with new learning and information technologies. 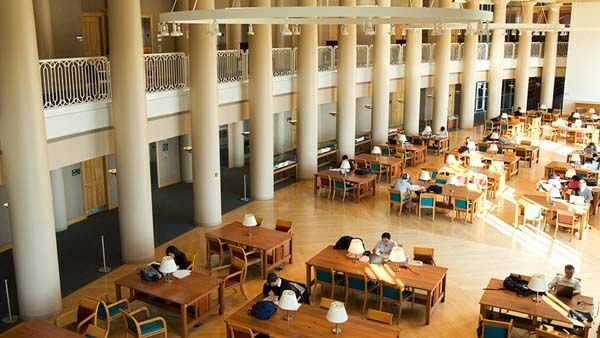 In addition to shelving, seating, reading, circulation, and office space, the library provides enhanced technology areas, an information instruction laboratory, electronic information workstations, and an online search room. 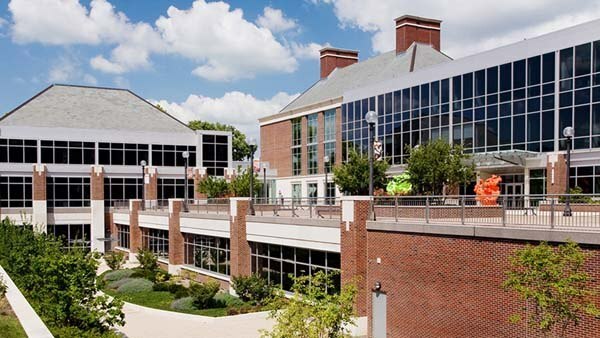 The facility also houses four instructional and multimedia laboratories and studios, as well as an Information and Career Services Office and an Alumni Center. Alice Campbell Alumni Center is located at Lincoln Avenue and California Street in Urbana, just south of the Hallene Gateway Plaza, the east entryway to the Urbana- Champaign campus. 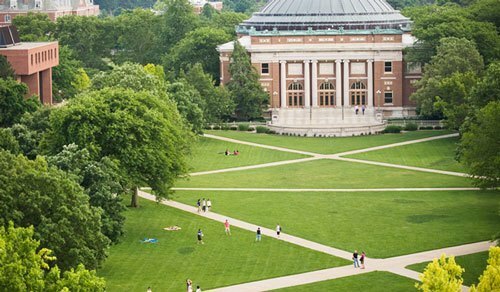 Named by lead benefactors, Robert C. '54 BUS and Alice Curtis Campbell, JD '43 LAS, of Los Angeles, this facility is a warm and welcoming haven for both U of I alumni and friends on every visit back, be it business or pleasure. Allerton was deeded to the University of Illinois by Robert Allerton in 1946. 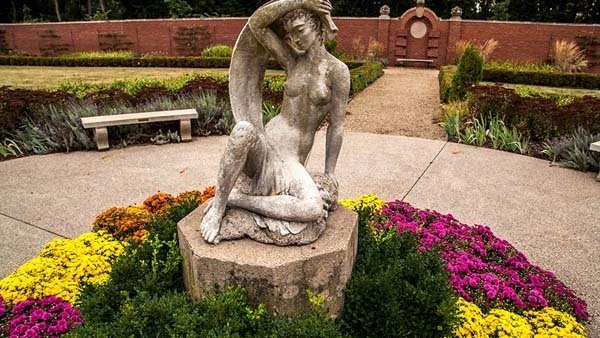 Originally called “the farms,” the former private estate includes formal gardens, an extensive landscape park dotted with ornaments and fine art, and a manor house modeled after Ham House in England. Allerton House was built in 1900 and now serves as a conference center. In 1971 the lowland and southern forests of 1,000 acres were declared a National Natural Landmark and in 2007 one of the Seven Wonders of Illinois. 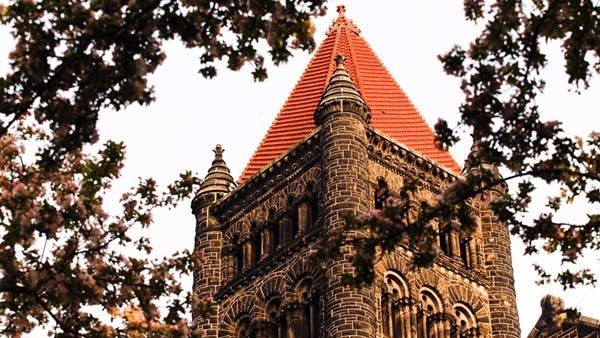 Designed by Nathan C. Ricker and James M. White, Altgeld Hall was completed in 1897, with additions in 1914, 1919, 1926, and 1956. When first occupied, it had a museum in the basement, the University Library on the first floor, and stacks and offices on the second floor; it then served as the law building, 1927 to 1955, and the math building and library, 1955 to the present. Named after Illinois Governor John P. Altgeld, the building is considered one of the finest examples of Richardsonian Romanesque architecture in Illinois. The central room is decorated with murals by Newton A. Wells. Now positioned at the west gateway to the University on Green and Wright Streets, stood until 1962 behind Foellinger Auditorium on the south campus—where romantically inclined students were wont to keep the throne “shiny and well used.” Designed by University graduate Lorado Taft, the statue was unveiled on June 12, 1929. 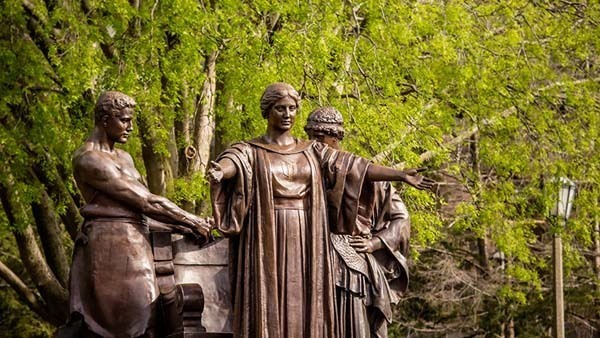 The Alma Mater is shown “as a benign and majestic woman in scholastic robes, who rises from her throne and advances a step with outstretched arms, a gesture of generously greeting her children” (Taft). Learning and Labor flank the main figure. An inscription reads: To thy happy children of the future those of the past send greetings. 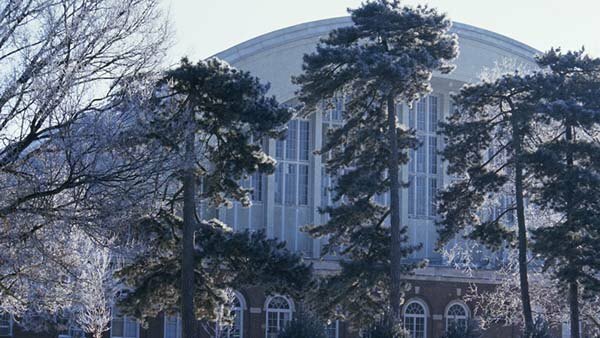 The Armory was designed as a military drill hall, an athletic facility, and an assembly hall. More than 2,000 soldiers used the Armory as a dormitory during World War I. Constructed in 1912-14 and modified in 1925-27 and 1962, the building is something of an engineering feat: the long span structure was unique in its day. An example of Georgian Revival architecture, the Armory is an anchor point for the south campus. 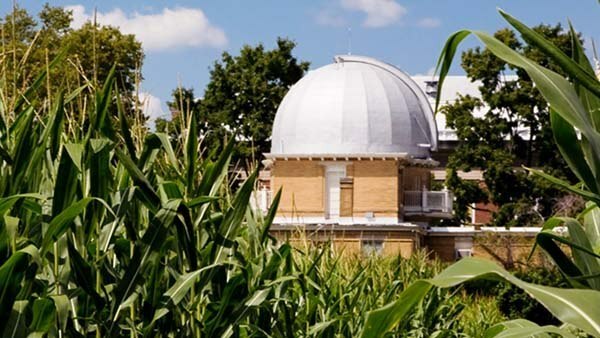 The Astronomical Observatory was designated a National Historic Landmark in 1990, primarily for the advances in astronomy associated with the structure. Under the direction of Professor Joel Stebbins from 1907 to 1922, the observatory was the site for developing the selenium cell and the photoelectric cell, which revolutionized the science of photoelectric photometry—the technique used to measure celestial magnitudes. Revolving around a circular track, the dome rides on 10 wheels and was originally cranked by hand. Much of the original equipment is intact, and the 12-inch refracting telescope is still used for classes. The building was constructed in 1896 at a cost of $15,000; the architect was Charles A. Gunn. Beckman is the largest academic building on campus and anchors the far end of the north campus. 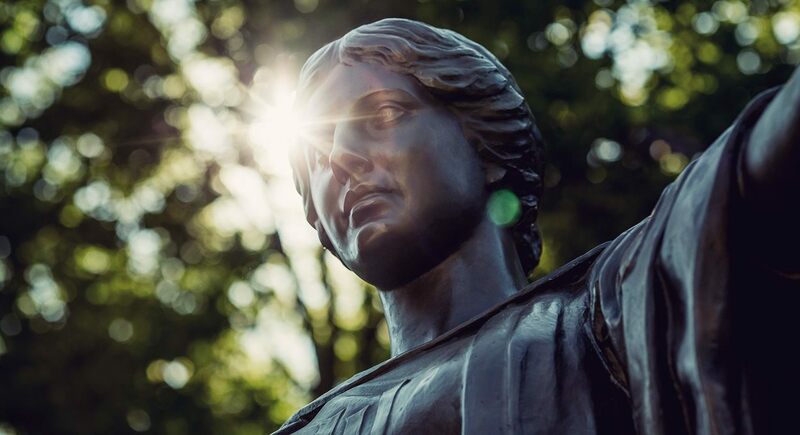 It is constructed on the site of the University’s first building, which was demolished in 1881 (also site of the Illinois Field baseball diamond and the University’s first collegiate homecoming in 1910). 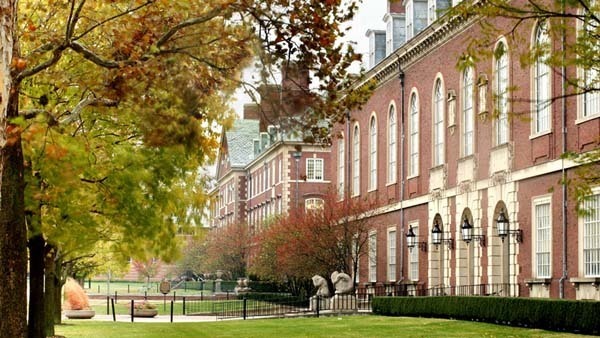 Designed by Smith, Hinchman & Grylls and completed in 1989, the institute was made possible by a $40 million gift from alumnus Arnold O. Beckman and his wife, Mabel M. Beckman. Their gift was supplemented by $10 million from the State of Illinois. The IGB is a $75 million, 186,000 square-foot state-of-the-art facility dedicated to transformative research in agriculture, human health, the environment, and energy use and production. 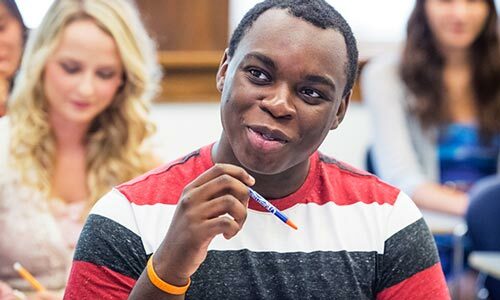 The institute, established in 2007, was founded on the vision of converging the university’s resources and expertise to address grand challenges facing society. The building design facilitates collaboration between the faculty and students who use the open labs and communal meeting spaces to conduct multi-disciplinary research. In addition the building was constructed in such a way that it will never cast shade over the crops grown in the neighboring Morrow Plots. This example of Renaissance Revival architecture, was built in 1894. Architect George Bullard, a student of Nathan C. Ricker, won a design competition open only to University graduates. The interior has oak woodwork; the ceiling is paneled in Washington fir. The building underwent an extensive renovation that was completed in 2000. With its dome, Foellinger recalls Thomas Jefferson’s Rotunda on the University of Virginia campus. The auditorium has a copper roof and cornice. Considered an example of the Beaux Arts Classical style, it was built in 1907 from a design by Clarence Blackall. In 1984, the auditorium was completely renovated with funds provided by alumna Helene Foellinger. Named in honor of William Wallace Grainger, this library information center opened in 1994. The history of the site of the Grainger Engineering Library Information Center is intertwined with the history of North Campus, the cradle of the University of Illinois itself. The facility sits on the spot where one of the first buildings on campus, Mechanical Building and Drill Hall, was erected in 1871. 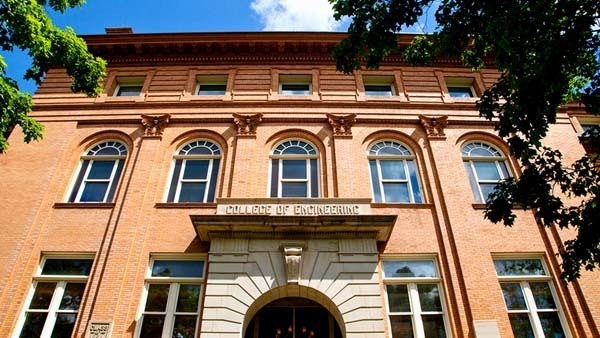 The building has 92,000 square feet of assignable space and includes two-story reading rooms, seminar rooms, group and scholar studies, and conference rooms, and houses over 300,000 volumes of engineering materials. The trolley stand at the north end of the Quad on South Mathews Avenue was originally located on Green Street. It was situated halfway between Champaign and Urbana and served “University stop” on the horse-drawn street-car that ran east-west. First erected in 1885, the structure was moved from storage to its present site in 1964. 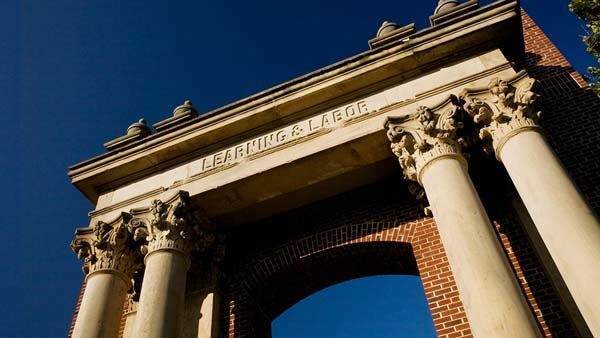 The east entry to the campus at Lincoln Avenue and Illinois Street features the stone portal from the entrance to the first University-built classroom building, University Hall. The portal entrance apparently was kept behind the Architecture Building for a number of years and then seemingly disappeared from the campus until it was found at Robert Allerton Park in Monticello in 1994. Alan and Phyllis Welsh Hallene, U of I supporters and alumni, donated the funds to construct the gateway plaza, which was dedicated in 1998. Originally the Chemical Laboratory, Harker Hall was until recently the oldest remaining classroom building on the campus. Designed by Nathan C. Ricker (with John M. Van Odsel) and built in 1878, Harker Hall is considered Second Empire in style. It is named for Judge Oliver A. Harker, third dean of the law school (1903 to 1916) and the first University counsel. In 1896 the building was struck by lightning and partly burned. 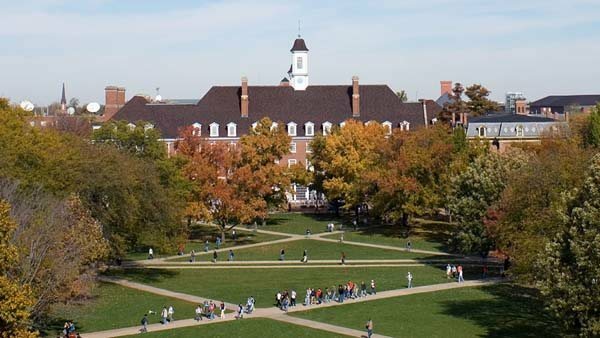 The University of Illinois Foundation moved to Harker Hall after extensive renovations in 1992. 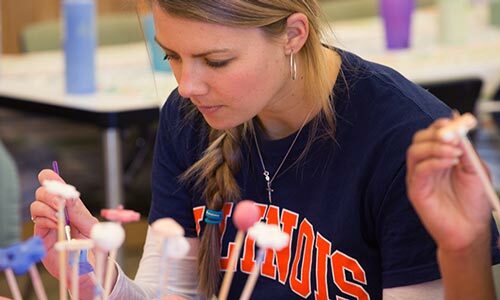 The Union was financed with a $450,000 grant from the Public Works Administration and a $550,000 loan from the University of Illinois Foundation. Its Georgian Revival style was conceived by Ernest L. Stouffer, University architect, and Howard Cheney, consulting architect. The cupola, clock, and bell from University Hall (demolished) are retained in the Union. Much of the original woodwork was carved by John C. Freiburg. The building was constructed in 1939-40; a $6.9 million addition in 1960 dramatically increased its size and usefulness. 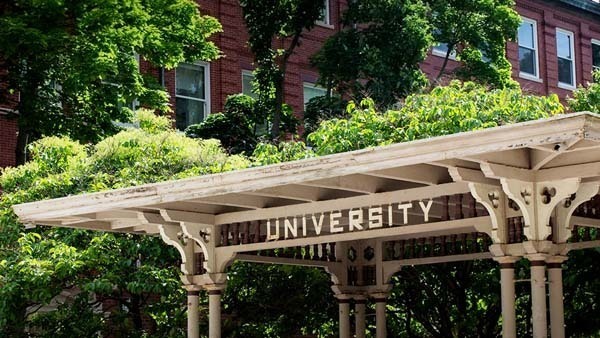 The Union is considered one of the most significant buildings on campus, because of its location, character, quality, and use. 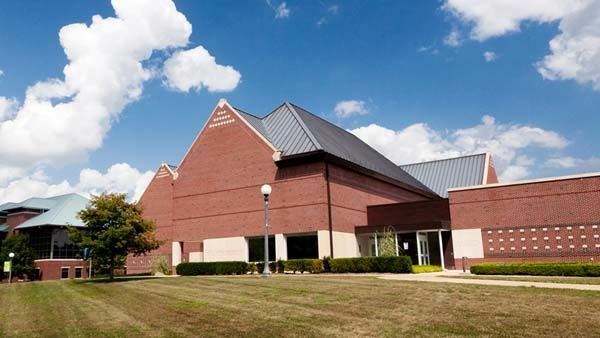 Ranked second among public museums in Illinois in size and value of the collection, the main museum opened in 1961, funded largely by a generous contribution from alumnus Herman Krannert and his wife, Ellnora Krannert. The Kinkead Pavilion, designed by architect Lawrence Booth and completed in 1988, greatly expanded the exhibition space. 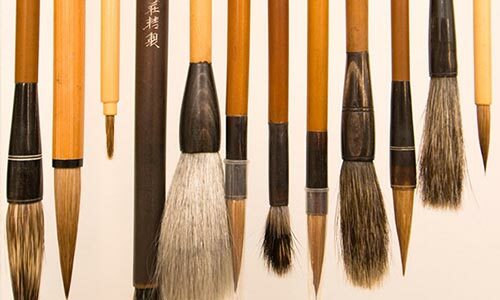 Funds for the addition came principally from the William S. Kinkead Estate and the National Endowment for the Arts. 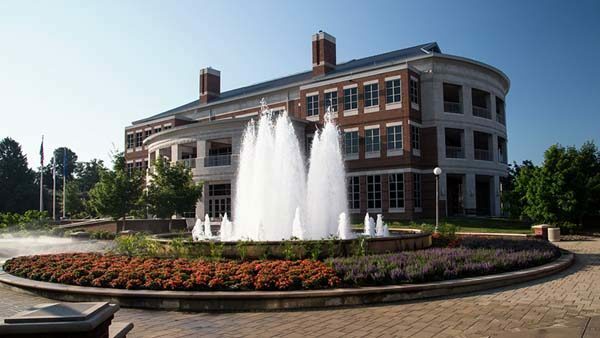 One of the preeminent performance facilities in the nation, Krannert is largely the result of an additional contribution from the Krannerts. Completed in 1969, the center covers seven acres and includes four theaters and an outdoor amphitheater. 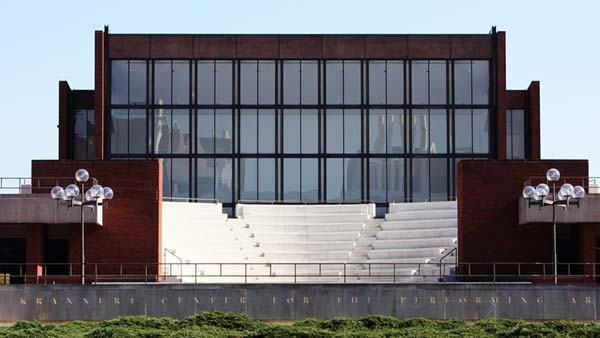 The complex was designed by alumnus and architect Max Abramovitz, who served on the design team for the Lincoln Center in New York City. It is home to more than 350 performances each year. With its bronze bust in the main entrance foyer, Lincoln Hall honors the Springfield lawyer who went on to become President of the United States. The state legislature appropriated $250,000 in construction funds in 1909 on the 100th anniversary of President Lincoln’s birth. The building was completed in 1911, with an addition in 1929. An example of Renaissance Revival architecture, the building also features strong horizontal banding and extended eaves that suggest the Prairie School. W. C. Zimmerman served as architect. Terra cotta plaques on the east exterior depict scenes from President Lincoln’s life; those on the sides display quotations. The stadium was dedicated on October 18, 1924, with a football game against the University of Michigan that has become legendary. 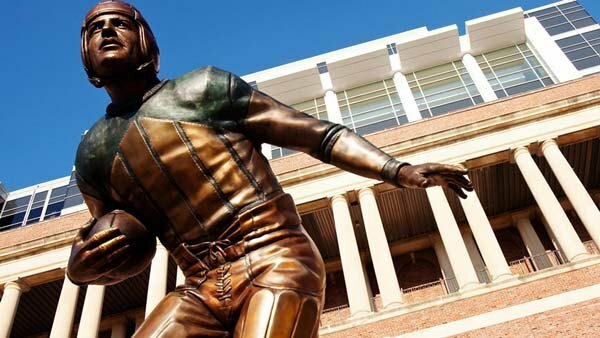 The University’s Harold “Red” Grange scored four touchdowns against Michigan in the first twelve minutes, then ran for a fifth touchdown and threw for a sixth. A mixture of Georgian Revival and Neoclassical architecture, the structure is considered one of the nation’s most distinctive sports stadiums. 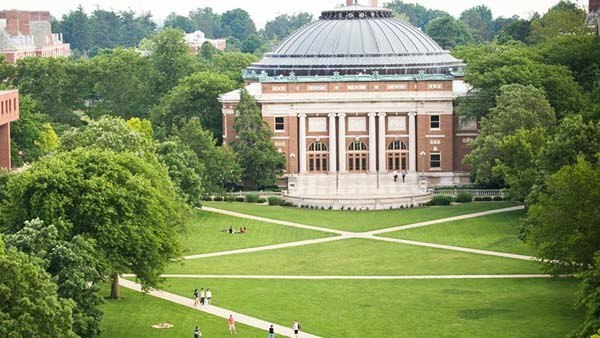 The second story is a colonnade of paired limestone Roman Doric columns, representing University of Illinois students who perished in World War I. More than 20,000 students, alumni, and friends of the University contributed approximately $1.7 million to fund the construction. 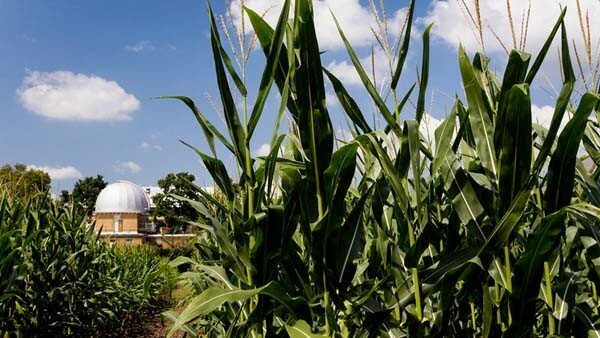 Between the underground Undergraduate Library and the Institute for Genomic Biology, the Morrow Plots are the country’s oldest experimental agricultural fields in continuous use. Agriculture professor Manley Miles and first agriculture dean George Morrow began laying out the plots in 1876. Miles first divided the fields into ten plots of 1/2 acre each. Morrow later divided the area further into plots of 1/20 acre. Morrow modeled the plots after agriculture techniques he had observed in Great Britain (Rothamsted in particular) and France. The plots were designated a National Historic Landmark in 1968. 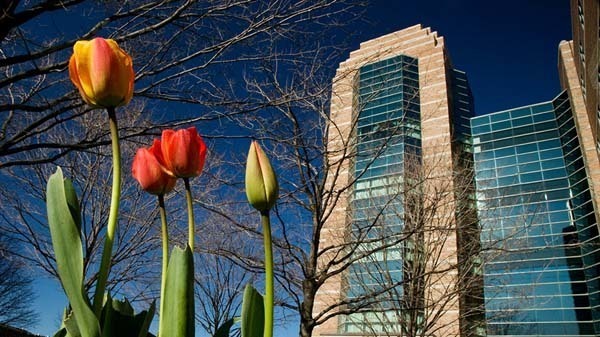 The National Center for Supercomputing Applications (NCSA), one of the five original centers in the National Science Foundation's Supercomputer Centers Program, opened its doors in January 1986. 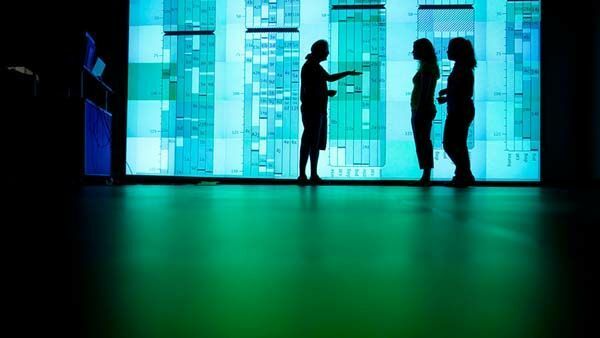 Since then, NCSA has contributed significantly to the birth and growth of the worldwide cyberinfrastructure for science and engineering, operating some of the world's most powerful supercomputers and developing the software infrastructure needed to efficiently use these systems. 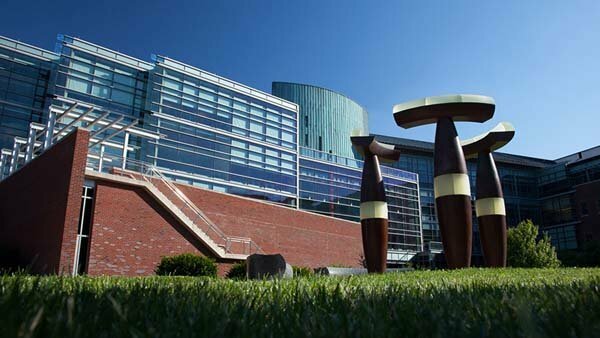 Having moved into it’s own building on the north side of campus in 2005, today the center is recognized as an international leader in deploying robust high-performance computing resources and in working with research communities to develop new computing and software technologies. Designed by Nathan C. Ricker, the Natural History Building is an example of the High Victorian Gothic style. 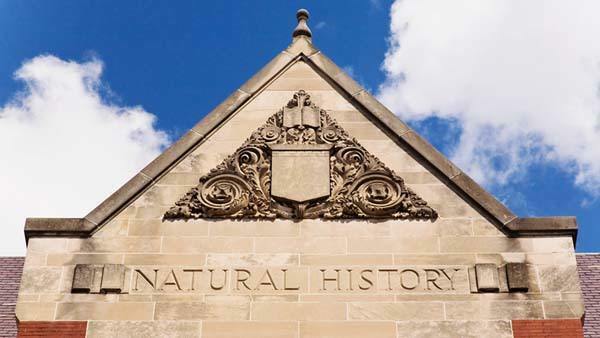 The original building was completed in 1892, and the departments of botany, zoology, and geology moved in that fall. A lecture hall and museum were added in 1909 and 1910 (W. C. Zimmerman, architect), with another addition in 1923 (J. M. White, architect). The building will undergo a $70 million renovation beginning in 2012. These round barns are the inspiration of Wilbur J. Fraser, the first head of the Department of Dairy Husbandry (1902 to 1913). Fraser was a strong advocate of round barns, which offered the dairy farmer “economy of consideration, low maintenance, and labor efficiency.” He also cited the barns’ better ability to withstand prairie windstorms. 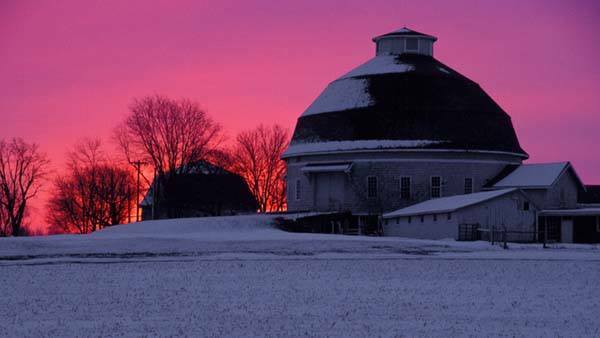 Fraser and the University’s demonstration barns were apparently instrumental in popularizing the round barn type found throughout Illinois. The first barn was built in 1907-08; the second and third about 1910. 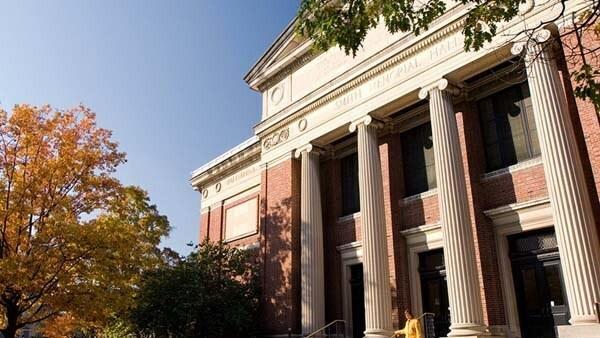 An example of the Beaux Arts Classical style by campus architect James M. White, Smith Hall is considered one of the most handsomely detailed classical buildings on campus. Captain Thomas J. Smith, a member of the Board of Trustees from 1897 to 1903, gave farmland and money totaling approximately $480,500 to finance the construction. The building is named in memory of his wife, Tina Weedon Smith. 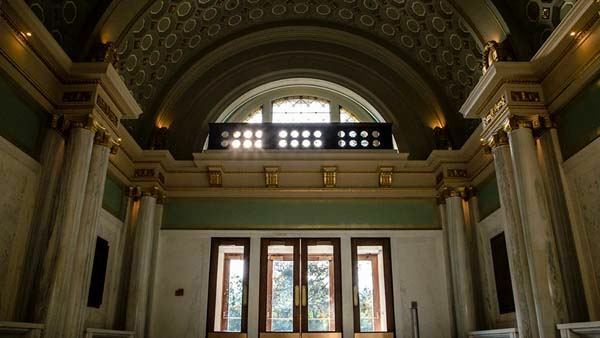 Details throughout the building, including the ornate Memorial Room on the second floor, feature intricate friezes and door surrounds. 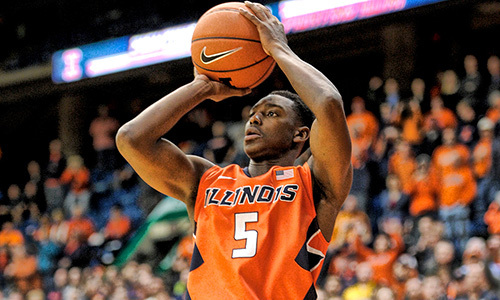 From a purely structural standpoint, State Farm Center is the University’s most significant and revolutionary building. 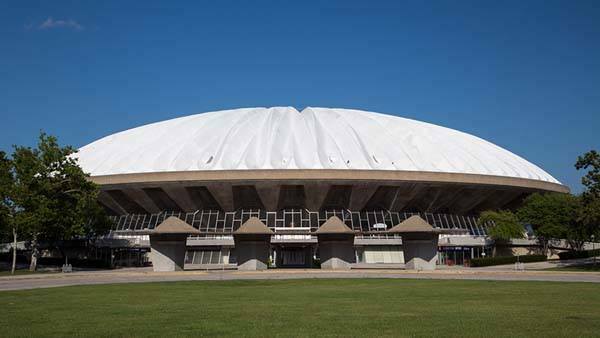 Designed by alumnus Max Abramovitz, the reinforced concrete structure cost $8.5 million and is one of the world’s largest edge-supported domes, spanning 400 feet in diameter and rising 128 feet above the floor. The building is the site of commencement ceremonies and basketball games and hosts many performances, plays, and concerts. It opened as the Assembly Hall on Honors Day, May 3, 1963. Funded by a gift from William and Clarice Spurlock, the museum opened on September 26, 2002. 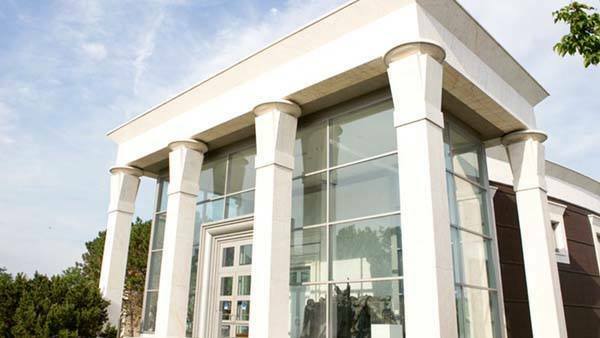 The new museum is a state-of-the-art facility which houses approximately 45,000 artifacts from diverse cultures and varied historical time periods, augmented by noteworthy selections from the University’s Museum of Natural History and Department of Anthropology. 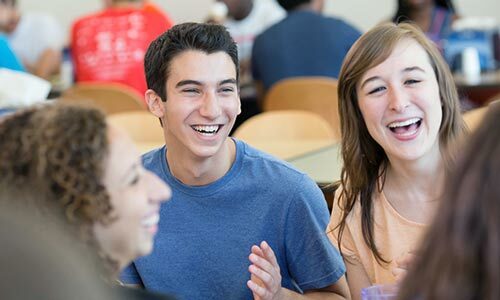 Facilities include five permanent galleries and a temporary gallery, the 220-seat Knight Auditorium, the Rowe Multipurpose Learning Center, and the World Heritage Museum Guild Educational Resource Center. 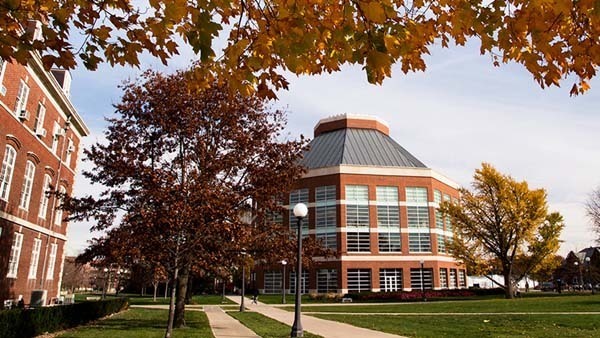 The home of the Department of Computer Science at the University of Illinois is the Thomas M. Siebel Center for Computer Science, a state-of-the-art building that opened its doors in 2004. 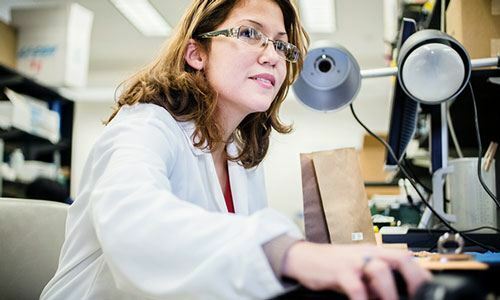 On the north side of campus, home to the College of Engineering, Siebel Center is an interactive computing habitat, made possible by a gift from alumnus Tom Siebel. This intellectual heart of the campus, is part of the ensemble of fine Georgian Revival buildings designed by Charles Platt that form a strongly unified portion of the south campus. Initial construction was completed in 1926, with many subsequent additions. Decorative elements include 27 art-glass windows by J. Scott Williams of New York, depicting the marks of Renaissance printers, and murals by Barry Faulkner entitled The Four Hemispheres: Polar, Celestial, Eastern, Western. 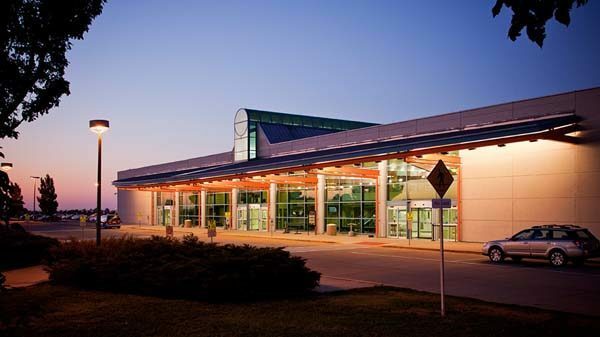 The University's Willard Airport, named after Arthur Cutts Willard who served as University President from 1934 to 1946, has been providing airline service to the campus and east central Illinois since 1945. Located in Savoy it is one of the largest and finest university owned-and-operated airports in the country.